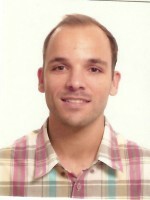 Jorge Frade is Full Professor at DEMaC, University of Aveiro. 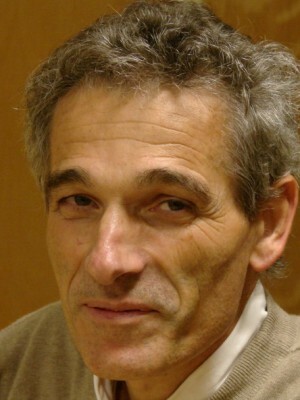 Graduated in chemical engineering (Coimbra, 1978), obtained his PhD from the University of Sheffield, UK (1983), and DSc/(Agregação) from the University of Aveiro (1995). Published over 300 SCI papers, with more than 6000 citations (h-index 42), and gave many talks at international conferences, (about 20 invited talks in the last 10 years). Received the prize for Scientific Excellence from the Portuguese Science Foundation (2004). 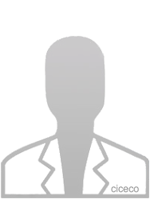 Participates regularly in assessments of projects, doctoral programs, grants (posdoc and PhD) and acts as a referee for a variety of journals in materials science, electrochemistry, chemistry, etc. Coordinated projects (including 9 international projects) mainly in materials for energy conversion (fuel cells and electrolysers, oxygen separation, heat conversion & storage,…), and lean technologies. 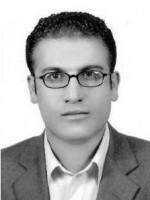 His current projects are focused on emission lean combustion (LEANCOMB), catalytic biomass gasification (NOTARGAS), fuel cells (HEALING) and electrolysis-based steelmaking (SIDERWN). 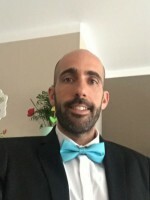 He also participates in other projects on thermoelectrics, fuel cells, integration of renewable energies, namely photovoltaics, electrolysis and syngas from biomass (project SUSPHOTOSOLUTIONS), and industrial projects dedicated to low NOx combustion (project SGH leaded by BOSCH Thermotechology) and phase change materials for autonomous photovoltaics-based refrigeration (UFA+EE leaded by Tensai). Kharton VV, Tsipis EV, Yaremchenko AA, Frade JR, “Surface-limited oxygen transport and electrode properties of La2Ni0.8Cu0.2O4+delta”, Solid State Ionics, 166 (2004) 327-37. A.A. Yaremchenko, V.V. Kharton, M.V. Patrakeev and J.R. Frade, p-type electronic conductivity, oxygen permeability and stability of La2Ni0.9Co0.1O4+d, J. Mat. Chem., 13 (2003) 1136. V.V.Kharton, A.V.Kovalevsky, E.V.Tsipis, A.P.Viskup, E.N.Naumovich, J.R.Jurado and J.R.Frade, Mixed conductivity and stability of A-site-deficient Sr(Fe,Ti)O3-d perovskites, Journal of Solid State Electrochemistry, 2002, vol.7, pp.30. J.R.Frade, M.Cable, "Numerical solutions for mixed control of powder reactions for spherical, cylindrical, or planar particles", J.Amer.Ceram. Soc., 78 (1995) 90. A.V. Kovalevsky, A.A. Yaremchenko, S. Populoh, A. Weidenkaff, J.R. Frade, Enhancement of thermoelectric performance in strontium titanate by praseodymium additions, J. Appl. Phys. 113 (2013) 053704. Envisaged applications are solid oxide fuel cells, mixed conducting membranes for oxygen separation or partial oxidation of hydrocarbons, gas sensors, materials for high temperature electrolysis, oxygen pumping, etc. This involves research on electrolytes, electrodes, electrocatalysts and interconnectors, their properties and performance, including transport properties, electrocatalytic activity, thermal and chemical compatibility between different cell materials. A wide variety of materials has been studied during the last decades, including zirconias, cerias, perovskytes (e.g. LaGaO3), rare-earth pyrochlores (e.g. Ln2Ti2O7), silicates (La10-x(Si,Al)6O26+d,…), LaMOX, etc. The main emphasis has been on materials with enhanced properties for operation at lower temperatures, alternative less expensive materials or materials, and materials with enhanced durability and tolerant to contamination or harsher conditions. Novel anodes materials are studied for intermediate-temperature electrochemical systems (IT SOFCs) and as alternative anodes for direct conversion of hydrocarbons without previous reforming. One attempts to develop anodes with enhanced electrocatalytic activity, microstructural stability, redox stability and sulphur tolerance. Actual anodes concepts include alternative cermets, and redox tolerant ceramic conductors such as (Sr,Ln)TiO3 or (Sr,La)VO3. Work on cathode materials is focused on their transport and electrocatalytic properties for operation at lower temperatures, and their thermochemical compatibility with other SOFC components. Relevant materials include perovskytes such as Sr(Co,Fe)O3 and (Ba,Sr)(Co,Fe)O3, layered materials such as La2Ni0.8Cu0.2O4+d and other RP phases. Suitable methods are being used to obtain nanocrystalline powders of these cathode materials. Dense ceramic membranes with mixed oxygen-ionic and electronic conductivity has been studied for application in oxygen separation or conversion of hydrocarbons to syngas. Though activities in the recent past included studies of a very wide variety of materials with different structe types, this is now mainly directed to overcoming some of the stricter limitations for successful application such as the complex thermochemical expansion of most of these materials and long term degradation of mixed conductivity or surface exchange. The main interests correspond to a variety of powder preparation methods such as mechanochemical synthesis, combustion synthesis, freeze drying, cellulose precursor replication, …). Ceramic processing is being studied as a guideline for microstructural and structural design, for their impact on properties. This includes sintering under unusual conditions (reducing atmospheres, hot-pressing,…) and less common firing schedules (e.g. 2-step sintering). Processing of highly porous cellular ceramics is developed for porous components of energy conversion systems (electrodes or electrocatalysts) and for their potential to extent research activities to a variety of other technologies. Thermodynamic analysis is used to study interactions in multicomponents systems (e.g. SOFC), to assess redox stability or reactivity with gases, and thermodynamic restrictions on solid state reactions. Other research activities include mathematical modelling of phase transformations and reactions in the solid state, for non-isothermal conditions or on combining steps of isothermal conditions and variable temperature. These models are used to extract kinetic information from thermal analyses (DTA, TGA, DSC, dilatometry) and transient response obtained by other methods (e.g. electrical conductivity, electrochemical titration). Ongoing interests are related to other technologies for renwable energies, with emphasis on conversion or storage of natural heat sources (e.g. solar) or waste heat, by thermoelectric applications and phase change materials for heat or cold storage. Work on oxide thermoelectrics seeks conversion of heat sources combining higher temperatures and other harsher conditions (e.g. reducing). Research on heat or cold storage is mainly directed to enhance the thermal response for fast charge and/or discharge; this is mostly based on designed organization of highly conducting inclusions. 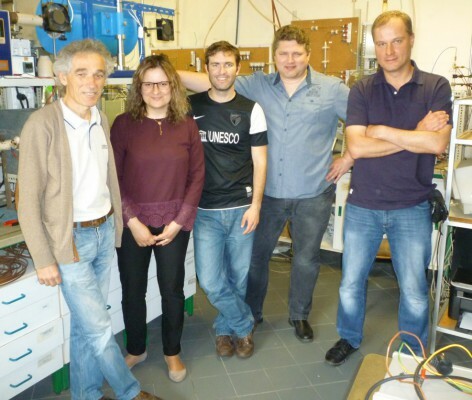 Other research projects are related to the development of alternative technologies to replace CO2-intensive high temperature industrial processes, with emphasis on less common technologies of direct electrochemical reduction of metal oxides and pyroelectrolysis. The group is extending the activities to electrochemical processing as alternative route for metallic alloys, cermets or composites. 2013, SOLID STATE IONICS, 247, 86-93. 2013, NUMERICAL HEAT TRANSFER PART B-FUNDAMENTALS, 64, 6, 421-435. 2013, JOURNAL OF SOLID STATE CHEMISTRY, 198, 169-175. 2012, INTERNATIONAL JOURNAL OF HYDROGEN ENERGY, 37, 8, 7252-7261. 2012, JOURNAL OF SOLID STATE CHEMISTRY, 191, 27-32. 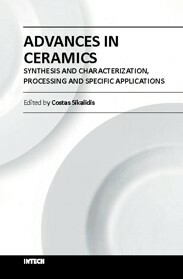 2012, JOURNAL OF THE EUROPEAN CERAMIC SOCIETY, 32, 12, 3255-3263. 2012, JOURNAL OF SOLID STATE CHEMISTRY, 185, 143-149. 2012, SOLID STATE IONICS, 225, 484-487. 2012, ELECTROCHIMICA ACTA, 85, 116-121. 2011, JOURNAL OF SOLID STATE ELECTROCHEMISTRY, 15, 2, 313-327. 2011, MATERIALS CHEMISTRY AND PHYSICS, 127, 1-2, 413-413. 2011, SOLID STATE IONICS, 193, 1, 52-59. 2011, JOURNAL OF POWER SOURCES, 196, 20, 8383-8390. 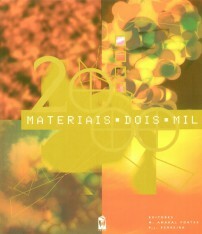 2011, MATERIALS CHEMISTRY AND PHYSICS, 126, 1-2, 262-271. 2011, JOURNAL OF MEMBRANE SCIENCE, 380, 1-2, 68-80.